Ultrasonic welding process is being widely used in many manufacturing and other engineering industries. Though the process has been extensively used for joining metals, joining of plastic parts by means of ultrasonic welding is done only in limited applications. The success of welding plastics depends on many factors such as the machine setting parameters, properties of the plastic parts, design of the horn tool, horn material etc. While the other factors can be made close to our requirement, machine setting parameters plays a crucial role in deciding the weld quality of the joint. Parameters such as weld pressure, weld time, hold time, amplitude, down speed etc has to be kept at optimum level to obtain the best weld strength in the joint. This study has been conducted to determine the optimum parameters to be set in the ultrasonic welding machine for welding of polyester sheets, so that the joint can be obtained with best weld strength. Taguchi's design of experiments has been used for analysing and optimizing the setting parameters in the machine. J Karthikeyan, M Sivaraja. "Parametric Optimization of Ultrasonic Welding of Polyester Sheets Using Taguchi's Design of Experiments." 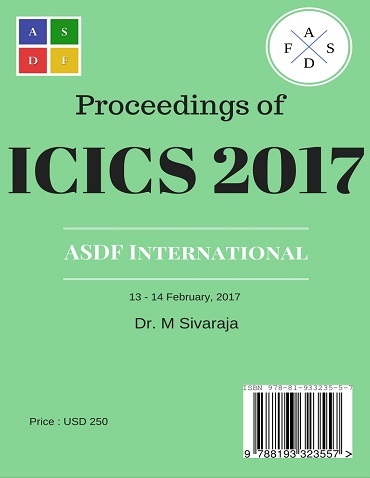 International Conference on Intelligent Computing and Systems (2017): 39. Print.